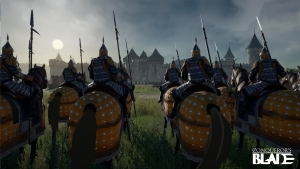 My.com announced that their medieval warfare MMO, Conqueror’s Blade will be opening its doors to all registered Warlords. Presently in the Closed Beta phase, they are swinging open the gates this weekend. The dedicated European and North American servers will run from February 15th until February 17th, all registered players will be able to tackle this upcoming MMO. The servers will be open 24 hours a day during this test, until February 18th, 2019. There is also a brand new tutorial to explore, a quest-based tutorial to teach the fundamentals of the game. 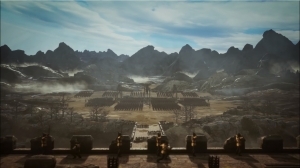 Warlords will also be encouraged to explore the world, whether it’s to secure resources (through trade or conquest) and to establish themselves in competition with other players. Time not spent in battle will likely be spent researching and gathering resources so they can craft weapons and armor, as well as develop their recruits into mighty armies that can take on the world. On alternate days armies can take part in Territory Wars, which are effectively declarations of all-out war. Attacking armies will converge on their pre-preferred targets, while the defenders must effectively come together to try to send the invaders packing. 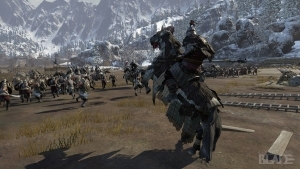 As well as new siege maps, there are new field battle locations that simulate the kind of skirmishes that occur when opposing armies meet on the open road or away from major settlements. Some of these battles can be played in PvP or PvE (using the same matchmaking system).